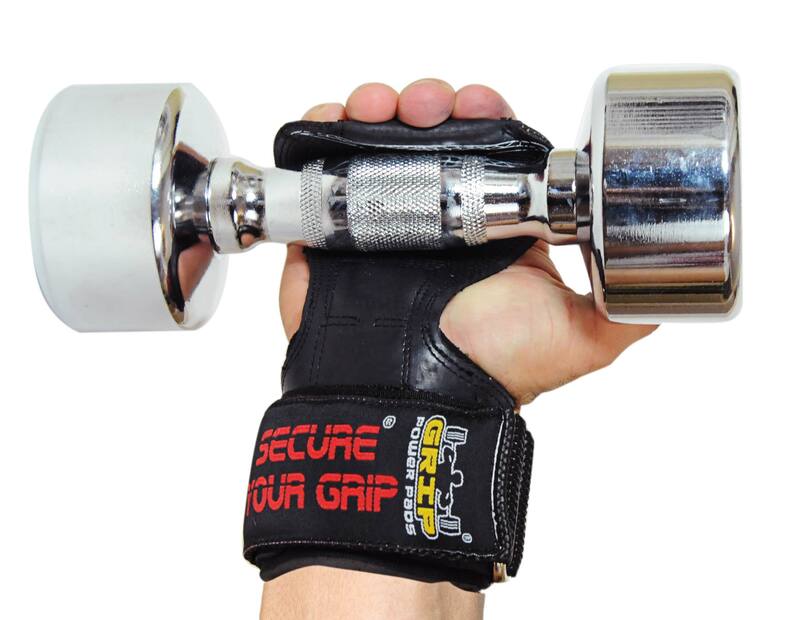 The Cobra Grips by Grip Power Pads claims to be the only gym accessory you’ll ever need. But how does the product live up to this promise? As soon as you pick up the Cobra Grip, you’ll realize what true quality feels like. The Cobra Grip is a heavy, dense, well put together product that features carefully double-stitched trim, a thick, stainless steel buckle, durable neoprene and a heavy-duty Velcro strap. When combined together, these elements create the foundation of what’s become the most reliable piece of gym equipment on the planet: The Cobra Grip. Grip Power Pads’ attention to detail and durable craftsmanship is a key reason why this product stands apart from its competitors: the last thing you want Is your gym gear to disintegrate over time. With Cobra Grips, you never have to worry about that. So how can Cobra Grips make the claim that it’s the only piece of gym equipment you’ll need to take care of your heavy lifting and beyond? Let’s compare Cobra Grips to each of them. 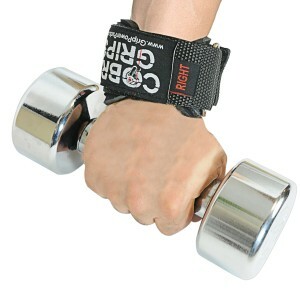 Weightlifting straps are designed to help take some of the weight off your hand during pulling exercises. With straps, you don’t have to rely on grip strength, as much, when performing your exercises. The strap used in weightlifting straps is typically not made from the most comfortable material. However, the iconic cobra portion of the Cobra Grip – which serves the same purpose of a strap – is cushioned and made out of incredibly high-performing nonslip material. Straps slow down your workout considerably. It takes time to put on the strap, and adjust it to the right size and fit. This could not only force you to spend more time at the gym, but it may also prohibit you from keeping your heart rate raised. Cobra Grips, on the other hand, are incredibly fast and easy to slip on. Once you’ve adjusted them to your hand/wrist, they’re good to go whenever you need them. Consider the Cobra Grip a grab-and-go ­­solution to the archaic weightlifting strap. A wrist wrap is used for heavy duty pushing exercises. Luckily, the Cobra Grips features a wrist strap to protect your body when you do heavy presses. The stainless steel metal ring allows for infinite adjustments, and once attached, the Velcro strap isn’t going anywhere. It’ll be difficult to find a fully dedicated wrist wrap that offers the type of stability found in the Cobra Grip. 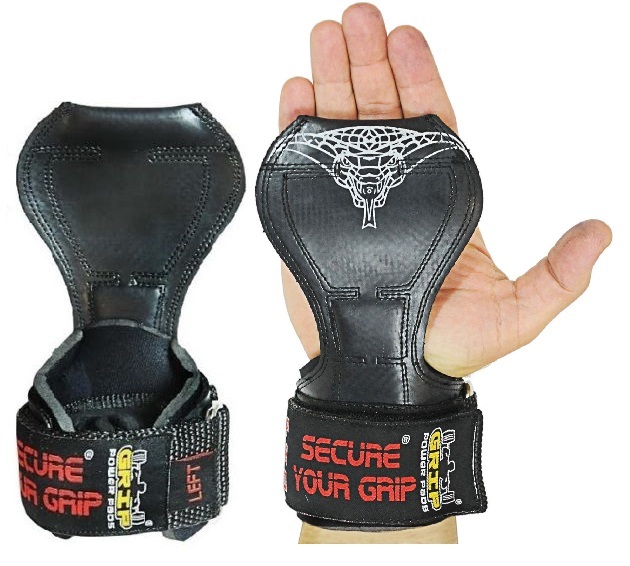 Weightlifting gloves are designed to protect your hand while offering a bit of wrist support as well. But if you’ve already invested in Cobra Grips to replace your straps or wraps, you can ditch your gloves too – Cobra Grips has you covered. 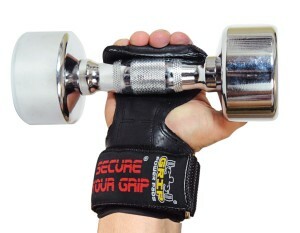 Because gloves are thick (to protect your hand) they create a thicker barbell effect. Cobra Grips don’t do that. Their neoprene padding does the job of protecting your hand with minimal material. Workout gloves suffocate your hand. All that padding and leather become unbearable on your hand. Your hands overheat and swell, making the gloves uncomfortable and, often times, difficult to take off. But Cobra Grips is designed to provide a maximum amount of support, with a minimal amount of material. Anyone who is serious about weightlifting likely has a gym bag filled with various pieces of equipment to help him or her get through their workout. But not only is it a hassle to lug around that stuff, it’s also a pain switching out gloves for straps (or wraps). Your workout is slowed down and you’re not always sure where to place your unused equipment during your routine. But your life is about to change, thanks to Cobra Grips. Touted as the only gym accessory you’ll ever need, Cobra Grips by Grip Power Pads truly lives up to its claim. Toss away your bulky gloves. Donate your archaic straps that take forever to put on and off. Retire your wraps. You don’t need any of it anymore, thanks to the revolutionary Cobra Grips, designed to help you workout harder and safer. Cobra Grips protect your hands, fingers, and wrists, and are fully adjustable, meaning they’ll adapt to every challenge you face at the gym. Ready to revolutionize your workout? Get Cobra Grips now! Hi I’m looking to purchase some cobra pro brown grips with the leather pad but have wrists that are 6.5 inches/ 17cm and was wondering if they would fit or would I need to get the fit model?